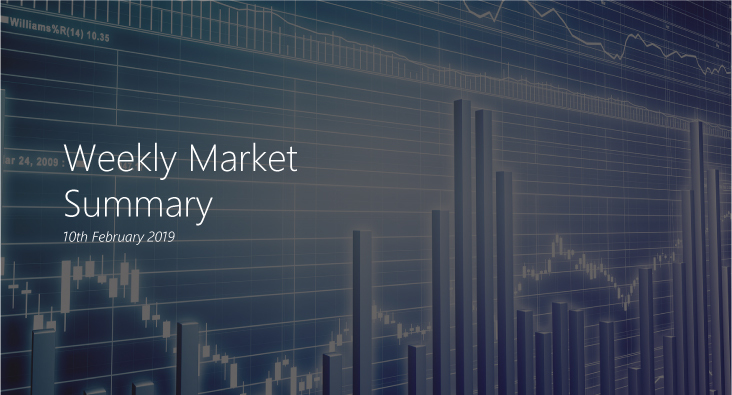 With the Dow Jones and Nasdaq indices up 7.63 and 9.99 percent respectively, year-to-date, as positive quarterly earnings reports filtered in and data showed that the services sector remains strong. US weekly jobless claims fell back whilst Federal Reserve Chair Jerome Powell noted that wage increases will continue for as long as there is a lack of slack in the employment market. Down to 1.3 percent from a previous figure of 1.9 percent, due to uncertainty around Brexit, China’s slowdown and a general weakening of global trade. At a country level, Italy’s growth forecast has been cut to the lowest level in 5-years due to the financial risks caused by the populist government’s unsustainable fiscal policies, whilst Germany’s forecast has fallen to 1.1 percent from 1.8 percent. With the free-trade pact covering 635 million people and removing 94 percent and 100 percent of Japanese and European tariffs, respectively. Japan’s services sector expanded for a 28th consecutive month, reaching a seasonally adjusted 51.6 in January, whilst manufacturing dropped back to 50.9 from 52.0 in December. Japanese equities slipped for the week but remain up year-to-date. With US benchmark WTI crude down nearly 5 percent, despite supply concerns from US sanctions on Venezuela and OPEC output cuts. Dragging prices lower were general concerns over the global economy that will impact energy demand, increased production from Libya, as well as a stronger dollar that makes US dollar-denominated commodities less attractive for international buyers. UK’s growth forecast cut for 2019, down to 1.2 percent from a previous figure of 1.7 percent, on concerns that Brexit will continue to limit the country’s economy. Japan’s pension fund suffers $128bn loss, measured across the fourth quarter of 2018, as the world’s largest pension fund’s investments in domestic equities sank. Egyptian shares surge on IMF loan, with the EGX 30 index up 4.4 percent for the week, as another $2bn tranche is released on the country’s fiscal reform efforts.